There aren’t any casinos in Washington, D.C. Residents are technically allowed to gamble in the district, but games and activities are limited. This is likely because D.C. is the United States capital. There are several viewpoints concerning gambling, many of which come from the political figures who live and work in the area. Washington, D.C. is an urban area, so there’s isn’t much room for a casino or racetracks. 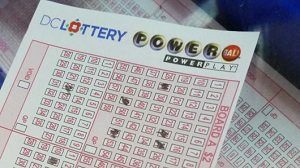 As of now, the lottery is the only legal form of gambling in the district. Local drawings are held each day, multiple times. There are three interstate lottery drawings, and citizens can play lottery terminals and Keno. For the most part, gambling in the district doesn’t exist. However, gamers who live in D.C. can find casinos close by. For instance, West Virginia and Maryland have racetracks and casinos. Gamblers who want more gaming options can travel to Atlantic City, which is just three hours away. Even though D.C. gambling isn’t a common activity, there was a time when gaming was common in the area. The Washington D.C. lottery was introduced to the area in 1982. The tax revenue generated from the lottery is around $84 million; estimate gambling revenue is about $225 million. You must be 18 years of age or older to gamble in Washington, D.C. No forms of online gambling are currently legal in the district. Legislators in Washington, D.C. have recently voted to make sports betting legal. This would make D.C. the first casino-free jurisdiction in the United States to legalize sports books. The vote from the D.C. Council was 11-2 to make betting on professional sports a legal practice. Gambling can take place at arenas and stadiums in D.C. Private businesses, such as liquor stores and sports bars in the city limits can also offer sports betting options. Gambling will also be available on a mobile app. Mayor Muriel Bowser (D) supports the new gambling bill. She must sign the bill for it to become a law. The gaming bill also has to be reviewed by Congress. Since the Democrats take over the House in January 2019, it’s likely the bill will pass. Those who support the proposed law hope people will be able to place bets in the next few months. However, there isn’t a set timetable. In May 2018, the Supreme Court did away with a law that prohibited sports betting in most American states. After this, a number of states have made sports gambling legal. Charles Town, West Virginia is the closest place to Washington, D.C. with a legal casino for sports betting. This form of betting is also legal in nearby states Delaware, Pennsylvania, and New Jersey. Since D.C. doesn’t have casinos, the D.C. Lottery will regulate sports betting. This is an agreement that makes the region an outlier. Intralot, a vendor based in Athens, Greece is currently the regions lottery provider. The D.C. lottery will sell sports book licenses at stadiums and arenas for $250,000 over a five year period. Retailers will be able to pay $5,000 for a two-year license. There is no limit on the number of licenses that can be purchased. 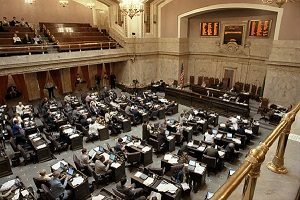 Casino industry groups responded to the passing of the bill, stating that handing over sports betting regulation to the lottery could reduce competition. City officials estimate legal sports gaming will bring the region $92 million in the next four years. Critics say the estimation is too high, especially if nearby Maryland makes sports betting legal. Maryland is already home to several casinos, including MGM National Harbor.